78 days 8 hr 48 min 36 sec. The Rick Haschel Memorial 5k is a running and walking race in Winamac, Indiana to remember the late Rick William Haschel Sr. His love for the sport of distance running lives on with all who participate in this event. Rick was a dedicated worker for the Town of Winamac, Indiana, a volunteer fireman for many years, a coach of distance running, father and husband. Many remember Rick out running the streets of Winamac. 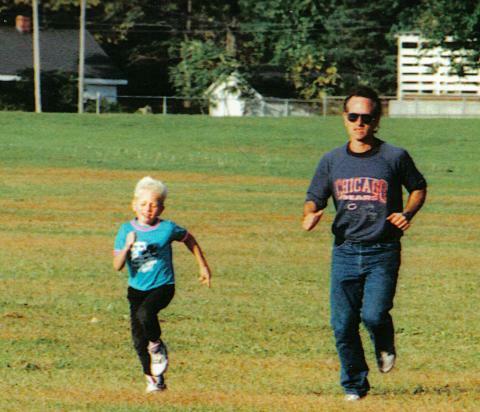 Rick was an avid runner who competed in the Chicago Marathon twice. All remember him for his sense of humor and smile. Rick’s life was claimed by cancer in May of 2002. Take a look at our News page is read current information about the race, course, etc.